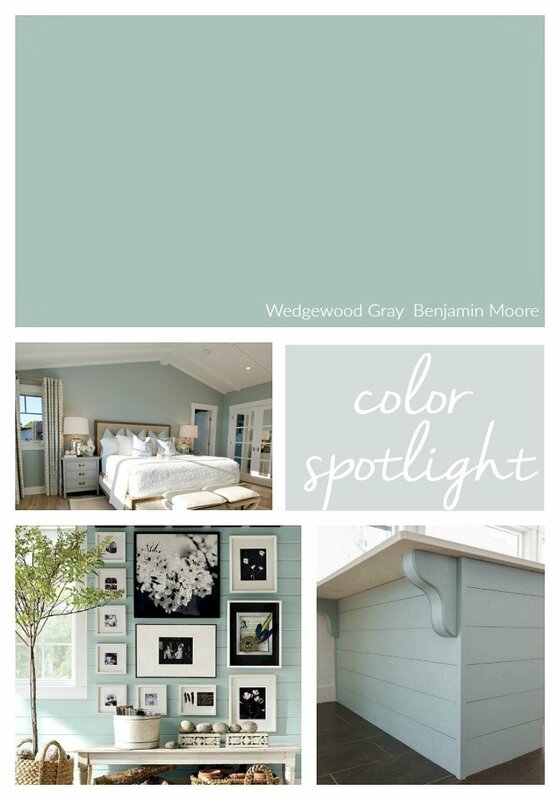 A couple years ago, I shared the most popular Benjamin Moore paint colors according to Benjamin Moore. It’s past time for me to update the best selling colors list and I’m excited to finally be updating the list of colors today! Over the last year, Benjamin Moore stopped updating their best selling paint color section on their site, which has really been frustrating. However, just this last week, they finally updated it (probably for the new year) and it’s always so interesting to me to see what Benjamin Moore’s best selling and most popular colors are. 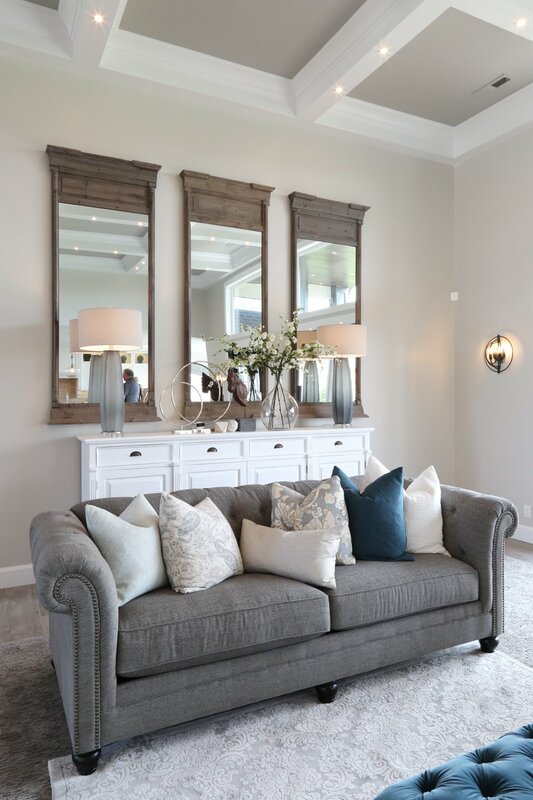 While I’m not one to choose a paint color simply because it’s popular or trending, but I always keep up with the colors that make the best sellers because a paint color has to be both beautiful and dependable to outsell the rest of the hundreds of Benjamin Moore colors. 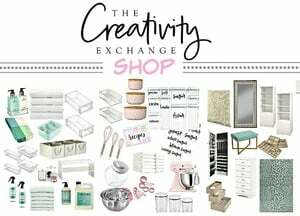 This is also one of the tools that I use when looking for new colors to put on my radar for my clients and for the blog. So are you curious? Let’s jump into some of the colors! 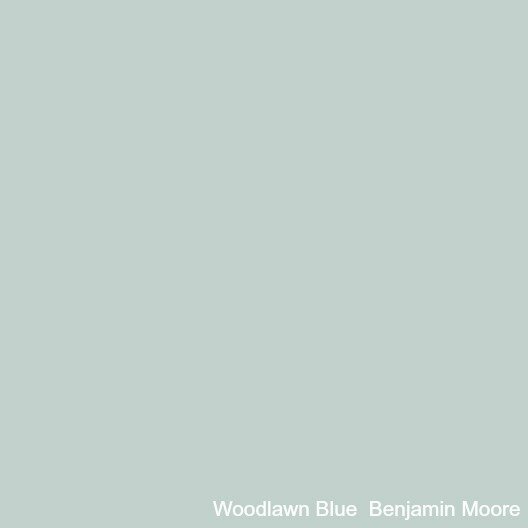 Benjamin Moore really has some of the most beautiful shades of blues out of all the paint companies. Smoke and Hale Navy are two all-star colors that have been on the best selling list for years because these colors are just amazing and consistently look good in a variety of lighting situations. 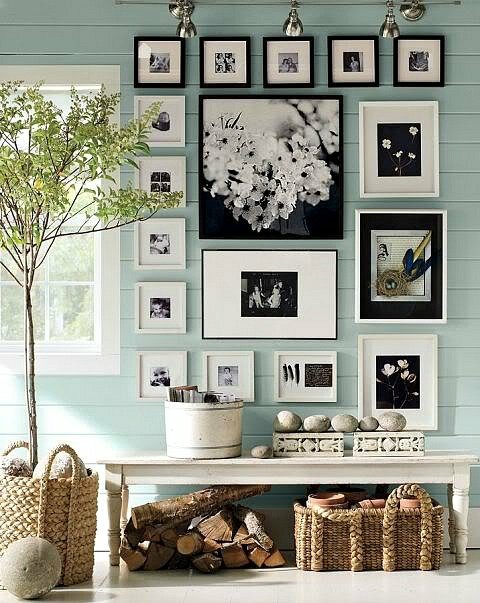 Benjamin Moore Smoke is a light paler blue that is so airy in a space. We used Smoke in a recent client project in a boys room and it looks so beautiful. 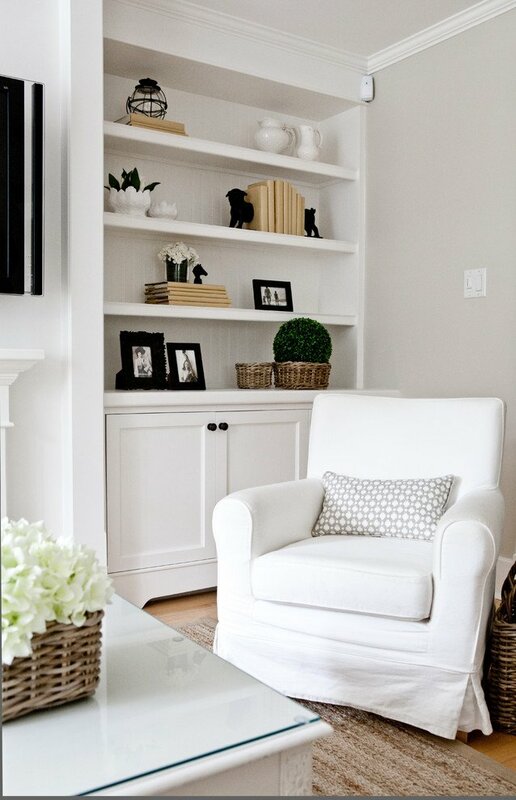 I first came across Benjamin Moore Smoke 6-7 years ago when I saw this gorgeous space. 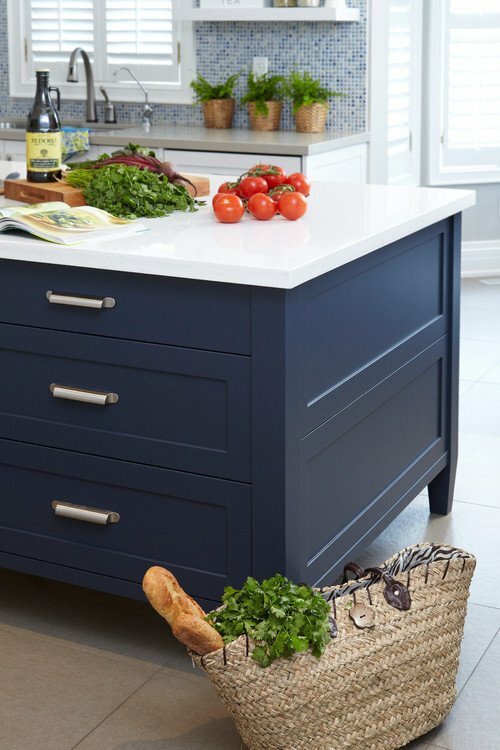 Van Courtland Blue has also been a popular blue for years and I especially love it on cabinetry! 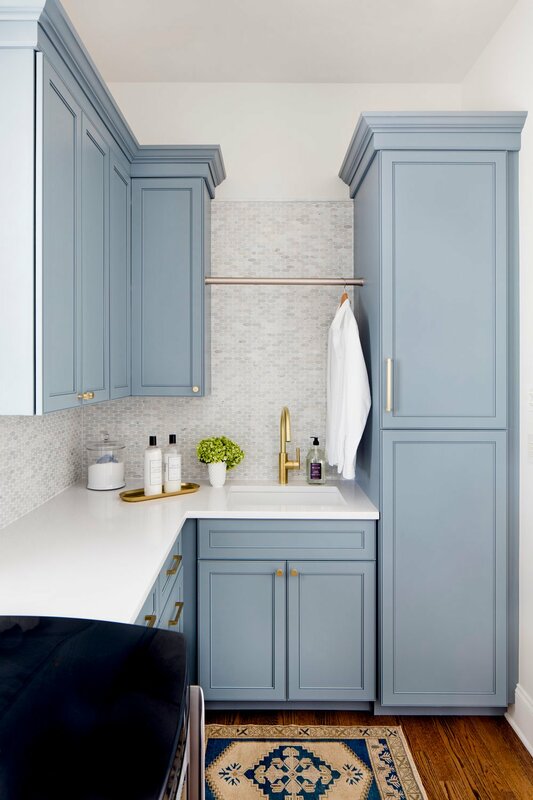 In fact, Stephanie Gamble Interiors recently painted these laundry room cabinets with Van Courtland Blue and it’s absolutely a gorgeous color in this space. I would venture to guess that the most popular Benjamin Moore blue is Hale Navy. Hale Navy is the perfect dark navy and a huge favorite with designers, builders and home owners alike because it always looks so beautiful! Nothing comes close to comparing in my opinion to Hale Navy. 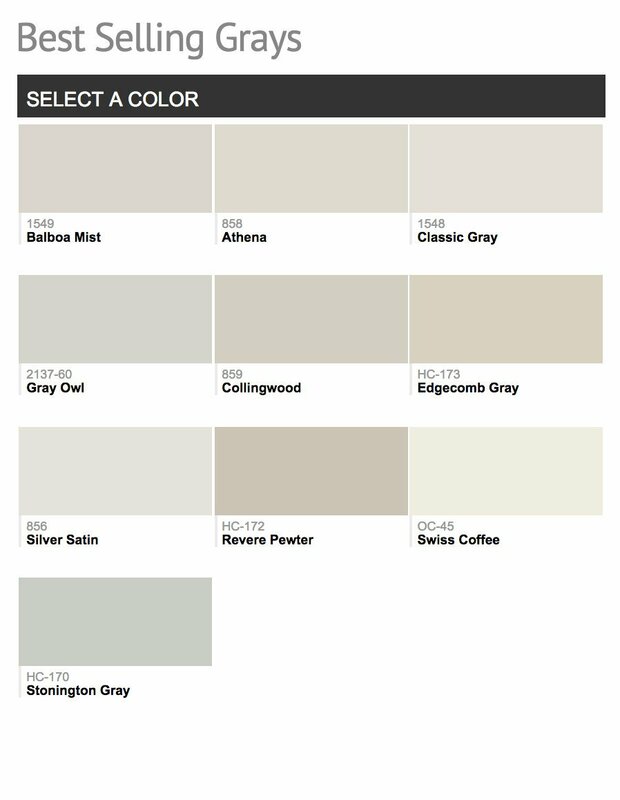 I’m not surprised by the grays listed as Benjamin Moore best sellers because these are all the very best and very dependable shades of Benjamin Moore grays. 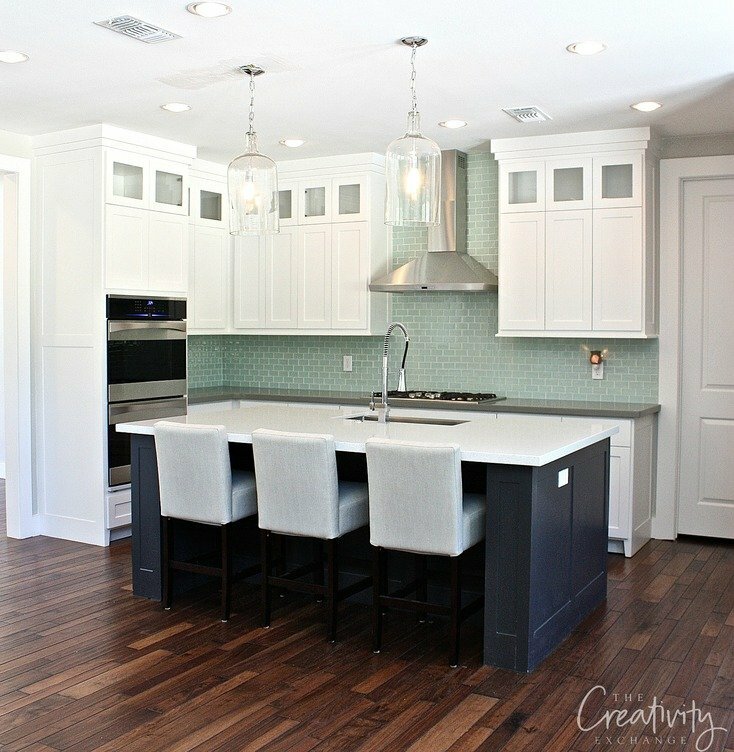 Collingwood is a new color for me that I wasn’t familiar with but I fell in love with the color a few months ago when touring this modern French home during the Salt Lake City Parade of Homes. Collingwood is just slightly warmer than a traditional balanced warm gray. No yellow, just slight warmth. 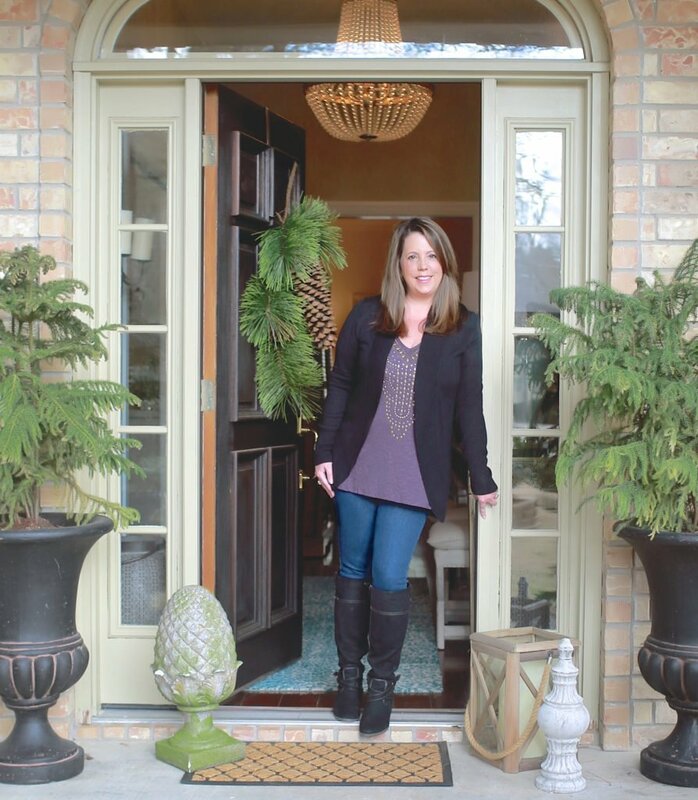 I really loved it in person but keep in mind, this home was flooded with lots of natural light! Stonington has been somewhat popular over the last couple of years but this is the first time I think I have seen it on the best sellers list. Stonington is a deeper (more pigmentation) warm gray than Gray Owl. However, it is a finicky gray and can go very cool in certain lighting situations. No surprise seeing Gray Owl and Edgecomb Gray on this list. These are two all-star warm grays that are continuously best sellers for years because they are such great colors and dependable. Edgecomb Gray is a very light warm gray that I love and use a lot. 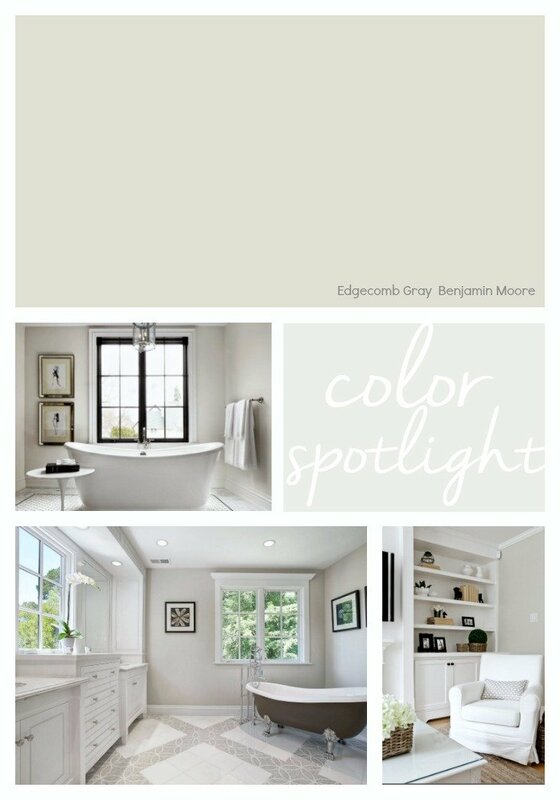 In fact, I highlighted Edgecomb Gray on Color Spotlight here last year and shared lots of spaces painted in this versatile color. 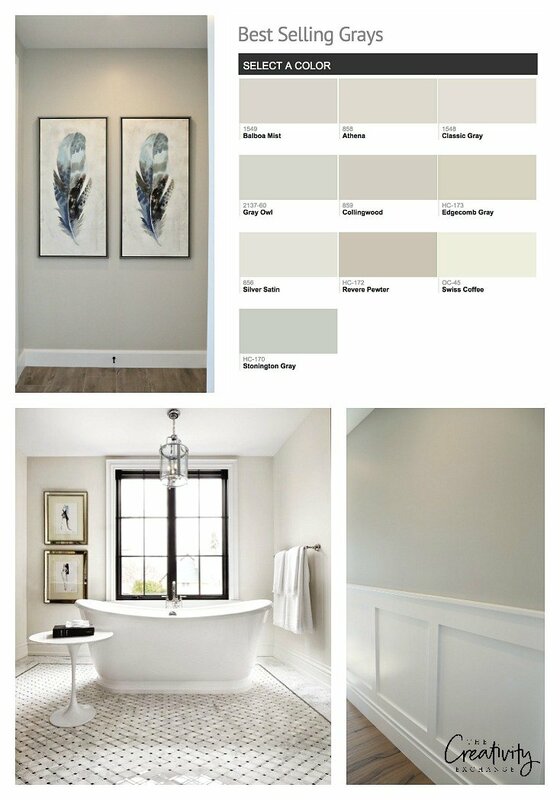 Gray Owl is probably the most popular warm gray right now for Benjamin Moore. If it’s not #1, I’m sure it’s a close 2nd. Many of the Benjamin Moore most popular greens are actually green/blue/grays, which is no surprise to me. Next to white and gray, these beautiful shades of green/blue/grays are the biggest trend in color right now. 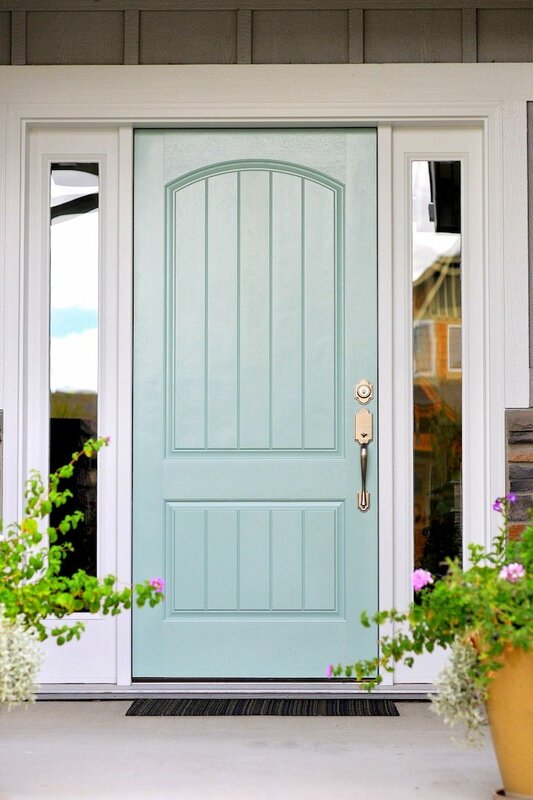 I would venture to guess that Woodlawn Blue (which is actually categorized by Benjamin Moore as a green) is Benjamin Moore’s most popular green because I see it used so frequently with designers, builders and home owners. It’s one of my favorite colors as well! 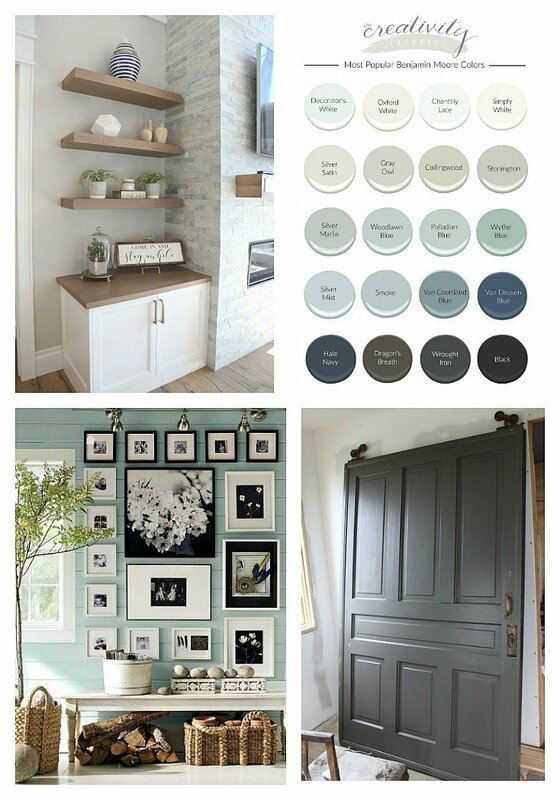 Benjamin Moore Wythe Blue is another green/blue/gray that has been very popular for as long as I have been blogging! It’s another great color. Coincidentally, I noticed in the 2018 paint color forecasts from the paint manufacturers that green was a big predicted color trend in 2018. I think we will be moving more into muted greens like very soft sages but still with that hint of blue/gray undertone. 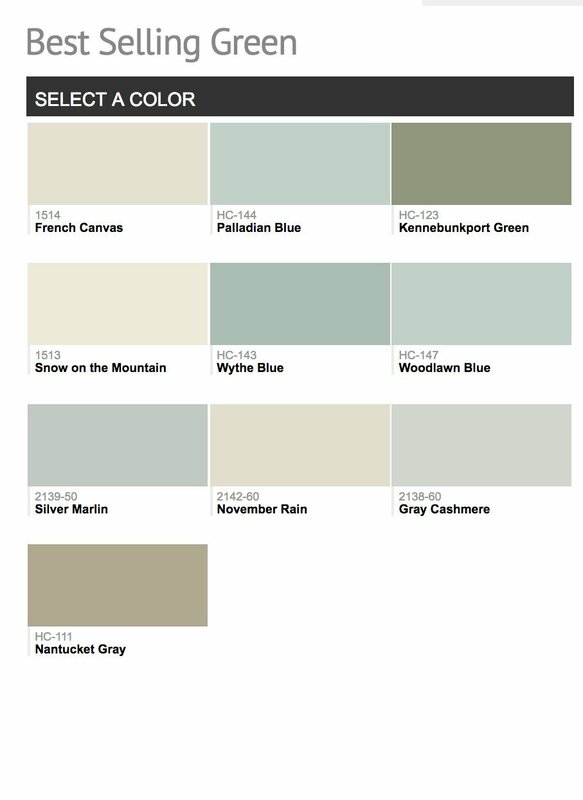 On a side-note, I was shocked to see that Benjamin Moore Wedgewood Gray was not on the list because it’s pretty much been on the list for years. It’s also one of the most popular and beautiful greens out there! 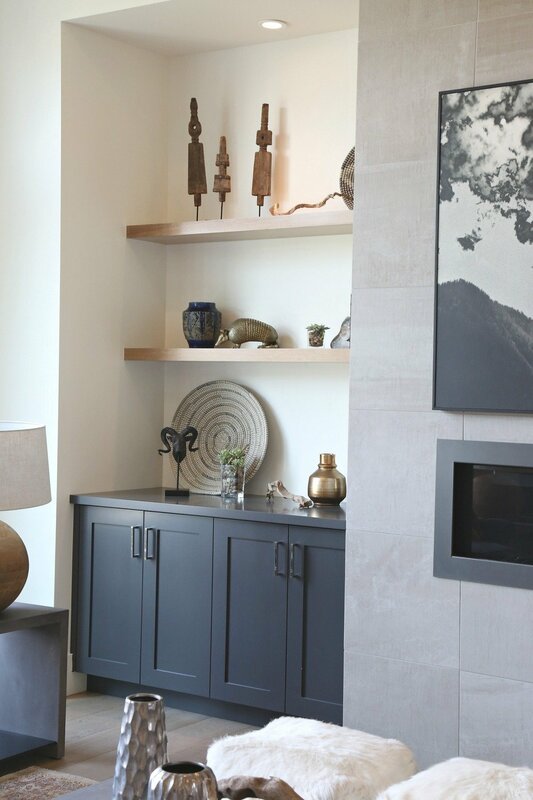 I highlighted Wedgewood Gray on a Color Spotlight a couple months ago here if you want to see more spaces in this versatile and gorgeous color. 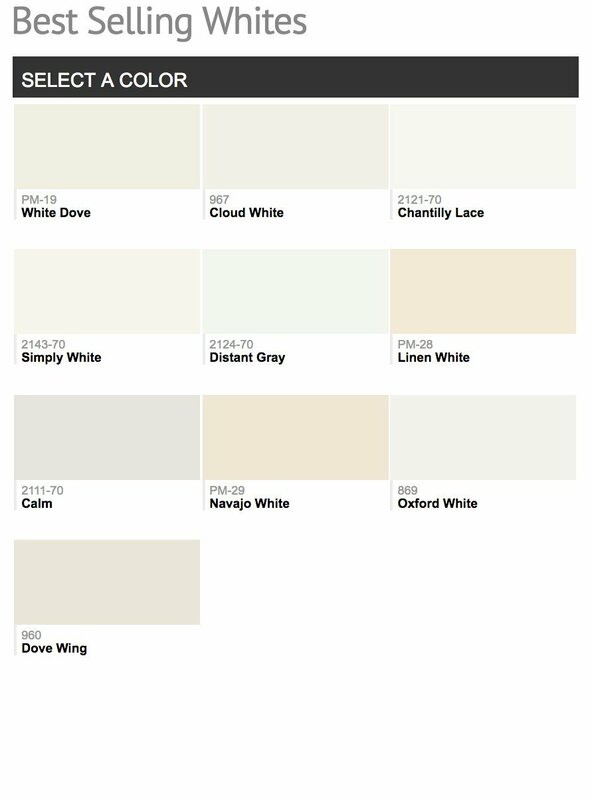 There were very few surprises on this list as far as the most popular whites but I have to tell you, I am shocked that Benjamin Moore Decorator’s White is not included on the list! That has to be a mistake because Decorator’s White is probably one of the most popular paint colors on the planet. I’m going to just assume that that is a mistake and tell you that if you don’t already know about Decorator’s White, put it on your radar for sure! 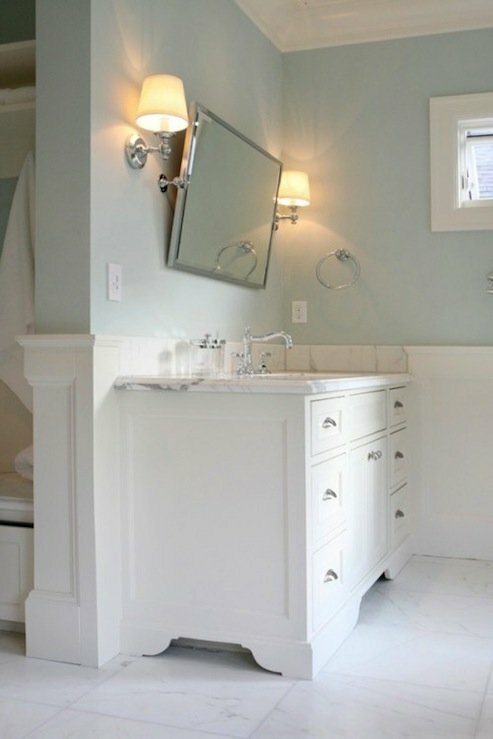 Next to Sherwin Williams Repose Gray, Benjamin Moore Decorator’s White is on my list of “Go-To” colors and the color I recommend the most to my clients. It’s a fantastic cabinet, trim and interior door color. 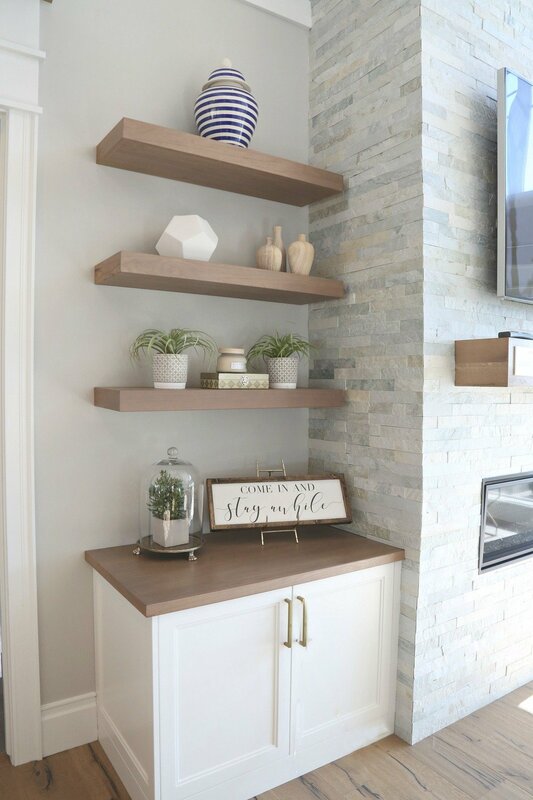 However, I primarily recommend Decorator’s White for cabinetry, trim and interior doors in spaces that do not have a lot of natural light because this white will instantly brighten a space and will not have any warm undertones at night or under artificial light. 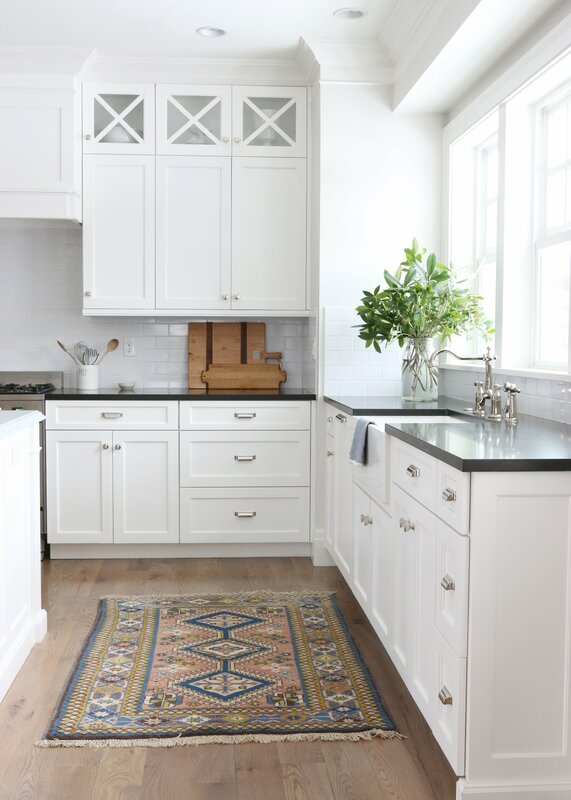 Benjamin Moore Simply White has really surged the last couple of years and it’s also become one of the most popular whites. However, I only recommend it in spaces with a lot of natural light because it does have very slight warmth to it. Choosing whites is very challenging but I have a very easy little trick that I use for instantly spotting undertones in white. You can read how I do it here. There are a lot more popular Benjamin Moore colors that I did not go over today but if you want to see more of these colors, you can look through on the Benjamin Moore website. Also, if you want to find out more what colors were forecasted for 2018 by the paint manufacturers, check out my 2018 Color Forecasts recap to find out more. 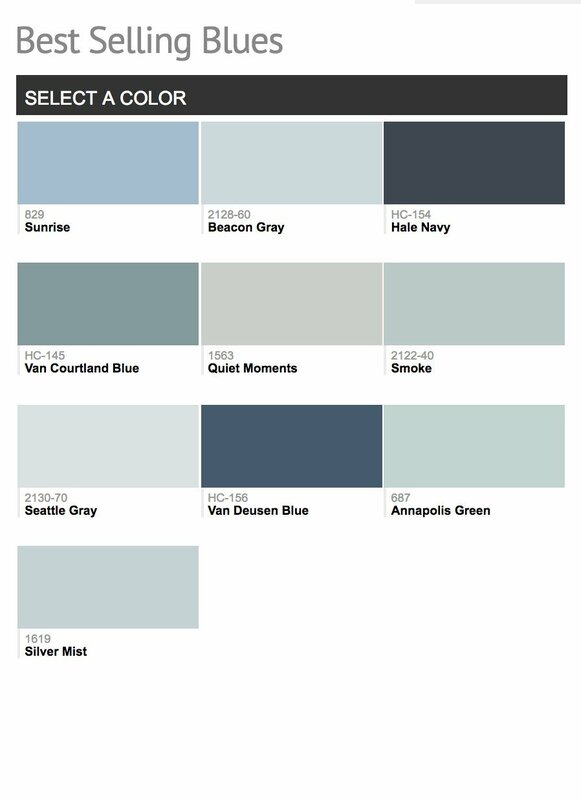 Would you use Van Dusen Blue on the exterior of a home? If so, which white do you recommend to go with it. If not, what do you think is a good dark blue exterior color? Thanks so much. Van Deusen Blue is a very intense blue and I’m not sure I would recommend it for an exterior. I would encourage you to sample the color by painting on poster board and taping it to the house to see what it will do. If you have your heart set on a dark blue for the exterior, I would find a mid-dark gray with blue undertones because it will go more blue on the exterior in the outside lighting. I’m afraid Van Deusen may be too intense of a blue on an exterior. Good luck! After seeing the kitchen cabinets in Van Deusen, it probably is too intense for an exterior color. How about Hale Navy or any other blue gray from BM? 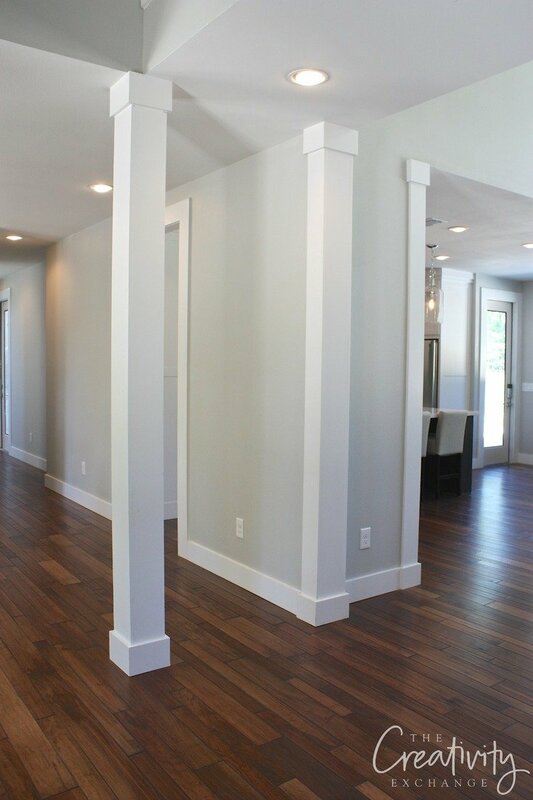 I am looking at BM Grey Wisp walls for a traditional living room/ dining room with very little natural light. I like it – looks a deeper blue green in my Rooms than in online pictures. BM White Dove was recommended to me for all trim and for the fireplace/bookcase wall in my livingroom, but I think it looks too bright/stark. Another suggestion to go with Grey Wisp? If you were going to paint kitchen cabinets in Simply White, what neutral or white color would you do the walls in that room and adjoining family room? Do you know a ything about pale oak by BM? Its a cool shade and reminds me of revere pewter. Grey for deep red oak wood floors? I was thinking BM hazy skies or Edgecomb grey or SW repose grey? Or any other shades of grey? Also would a deep dark green/blue accent wall go with these and floors? My living rooms get a ton on light but windows are not too long? Like just 39” on the top half of the wall. 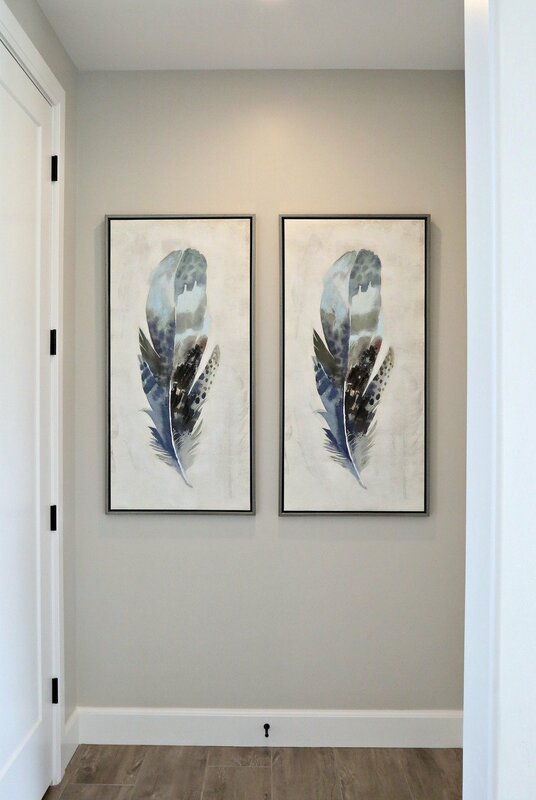 Would these colors work together in my home? Van Cortland Blue in my study with Woodlawn Blue in my dining room across the hall from the study (both left and right as you enter the front door). Then I wanted to use Manchester Tan throughout the rest of the house…except maybe the powder room. What do you think? Should I bring in another color in the master or not? Thank you!! 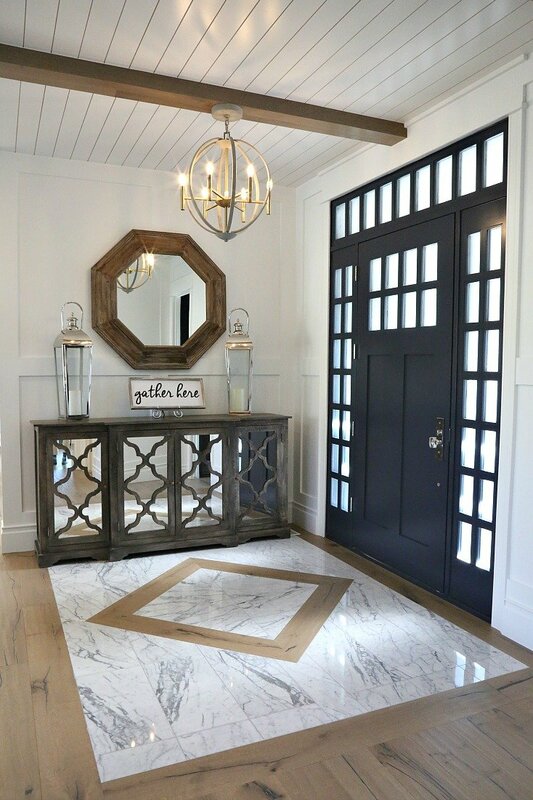 I love the door that looks like a barn door? What color is it and where did you find it? Or did you have someone build it? We’re thinking of painting our entire main floor and upstairs common spaces BM Pale Oak, which we find to be a beautiful warmer neutral gray. 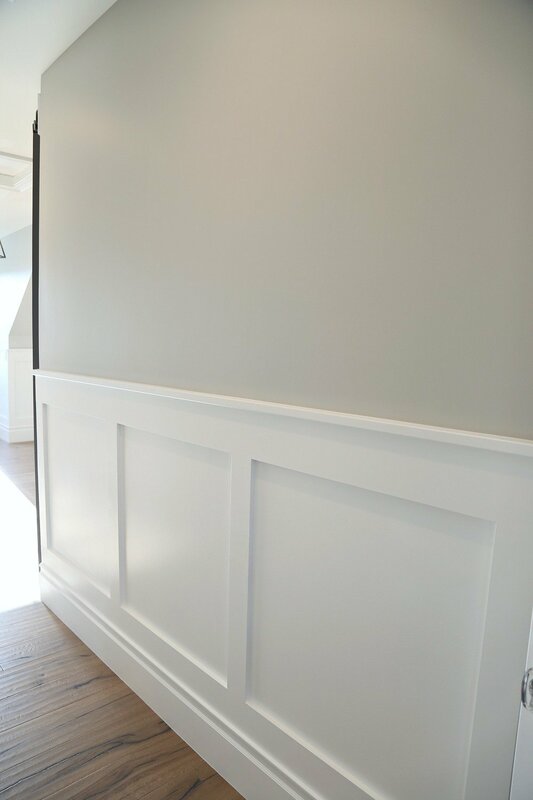 We have an accent wall that spans the two floors and wanted it to be a little darker gray, but not ominously so (light isn’t as bright in some areas), so we were thinking BM Coventry Gray. Your thoughts are much appreciated! We just bought a small 1400 SF beach house that is on a tidal marsh with trees, soft natural light. What interior color khaki is your go to for a light tan that does not have yellow undertones and what white trim color would you use with it? We plan to use it in all rooms to make the small spaces look larger. 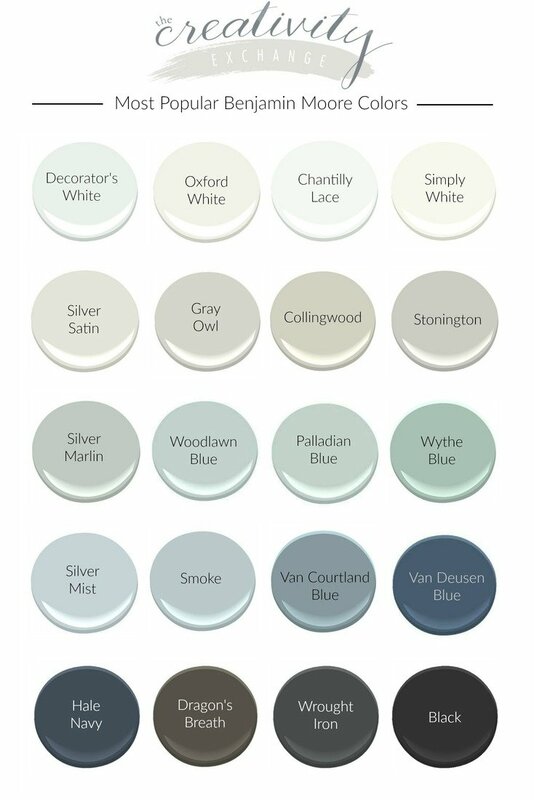 I am wanting to paint my lower cabinets Van deusen blue. My countertops are Silestone lusso with a single bowl white undermount sink. . I have black stainless appliances. I am wanting my upper cabinets to be white and was thinking possibly White heron? I also have a two sided brick gas fireplace that I was thinking maybe Revere pewter? I’m trying to tie the living and kitchen and dining room together. You can only see some of the livingroom from the kitchen because of a wall. My new living room furniture is grays, creams and blue accents. Dark woods. I know this is a lot but Im. just feeling for suggestions for upper cabinets, wall color possibly and maybe hardware. I just love all of your design ideas and suggestions and any ideas would be greatly appreciated. 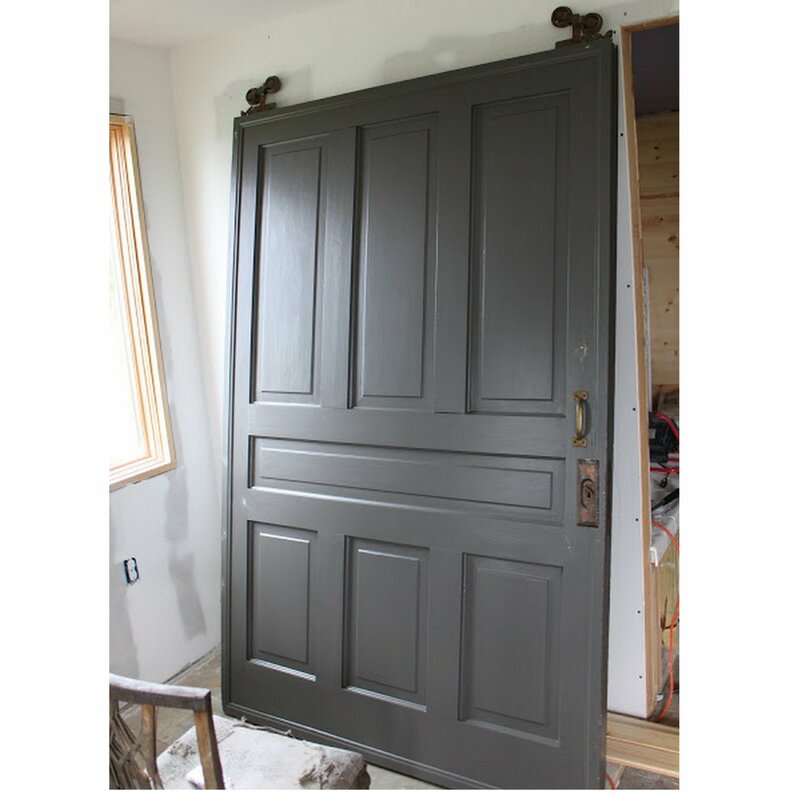 What color door would you paint a hale navy house with white columns and some grayish stone accents on the columns? Have you seen BM Silver Satin on a wall? It looks great in photos. However, as a sample paint, it seems white in some rooms. I want to use it in a small basement remodel on all the walls. What accent color would you use. I favor blues. I was reading your article on most popular Benjamin Moore paint colors. 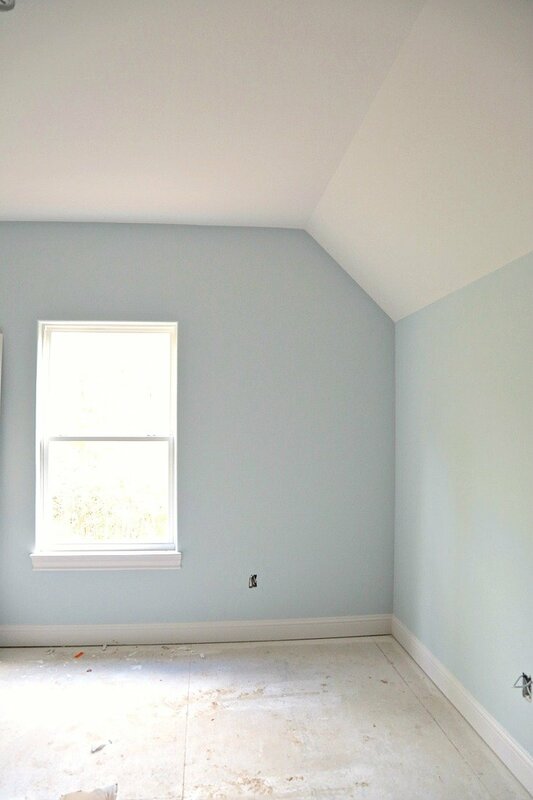 I am looking for a warm tan paint color for my large family room with lots of light. I want to make the space look less expansive and more cozy and inviting. I was thinking about Benjamin Moore Sandy Brown # 1046 but think I should go darker; however #1047 Deer Path seems a little too dark. Can you recommend a paint color that would be somewhere in between the two? And what paint color should I use for the ceiling and trim? 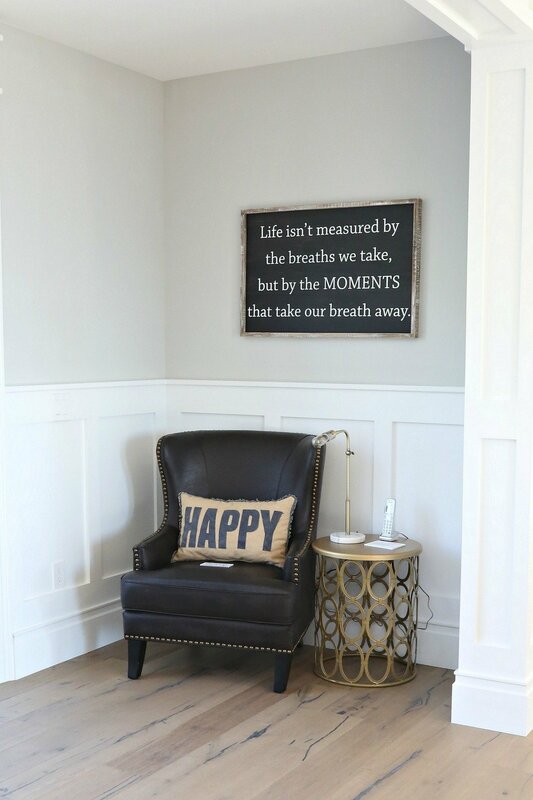 I am not an artist or interior designer but I want to make my family cozy in their family room!